Email info@hofmannranch.com if you’ve got more questions and we’ll do our best to answer. Do you offer catering packages? Yes. We have a list of preferred caterers who offer a great selection of cuisine as well as other services that may interest you. This list is available upon request, or we will provide the information when you tour our venue. We also make available a list of vendors who offer excellent cake, floral, décor and entertainment services. Do you offer discounts for non-Saturday dates? Yes we do. Our Saturdays fill up very quickly so if your heart is set on a Saturday, contact us early (1-year in advance is not unusual). If you are comfortable with a non-Saturday, you will save on the rental rate. Our Friday’s and Sunday’s are next in line to fill up – as we do offer discounted rates for Friday or Sunday. Finally we have lots of weekdays open and these come with additional discounts. Call or email us to learn more about rental rates and booking your next event. What kind of bartender service is available? Hofmann Ranch does not hold a liquor license. This means you can bring your own beer, wine, champagne, and spirits. We have an in-house bartending service, Bar None (barnonebartenders.com) that would be happy to provide your bartenders, alcohol, and set-ups. You are also welcome to contract with an approved caterer that offers bar service. There are numerous options for fulfilling this area of your celebration. On-site complimentary parking is situated just a few steps from the Grande Hall, Pavilion and Patio. Your guests will not have to walk far. 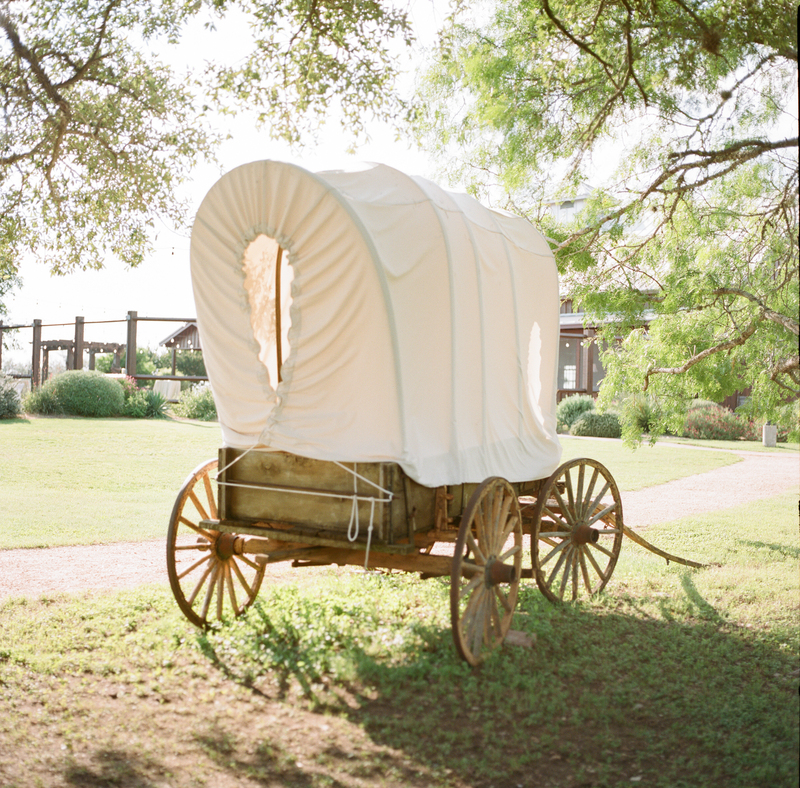 Best of all with our 370 acre ranch, we have never run out of parking for any event. Parking is FREE! We provide the security. The security fee is determined by the number of hours for your event. In fact, depending on the size of the event, security personnel on horseback will patrol the parking area and grounds (for a nominal additional charge) – a sight many of our guests appreciate as a touch of country.